When Kate Roberts was ten years old, she made a promise to herself: that one day she would own the horse of her dreams, a dapple gray mare named Promise Me This. 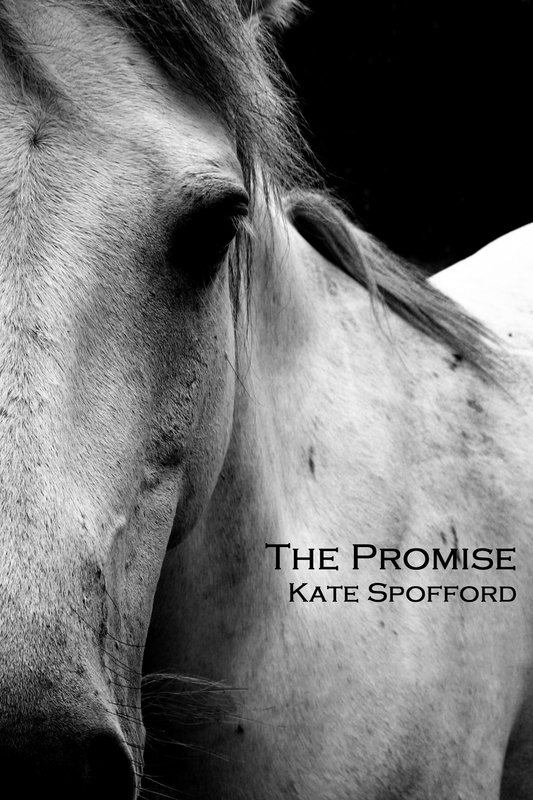 Now, Kate is nineteen years old and on the fateful night that her dream will come true, she remembers all her adventures and friendships over the past nine years of riding horses, the rocky path that led to the fulfillment of her promise. Kate Roberts is a character I created for the novella More to Tell. While More to Tell is fairly serious and depressing, The Promise is a typical horse story (girl wants horse but doesn’t have enough money, through hard work and suffering she finally gets the horse of her dreams). For some reason I couldn’t separate this Kate from the other Kate, and worked in the events that led to Kate’s year at a Catholic boarding school, but at least in this story Kate gets a happy ending. I have sent this out a few times, mostly to agents and publishers who deal with horse stories or Christian fiction.